In today’s unboxing our Senior Audio Engineer, Nick Nagurka, took a look at Jünger’s Dual Stereo Easy Loudness Processor. This rackable unit comes with dual power supplies, a user manual, and allows for accurate loudness management in real-time - a great tool to integrate into your transmission workflow. In a nice rackable unit, the Jünger Easy Loudness Audio Processor offers easy loudness management, failover switching, and true peak limiting for two stereo programs. 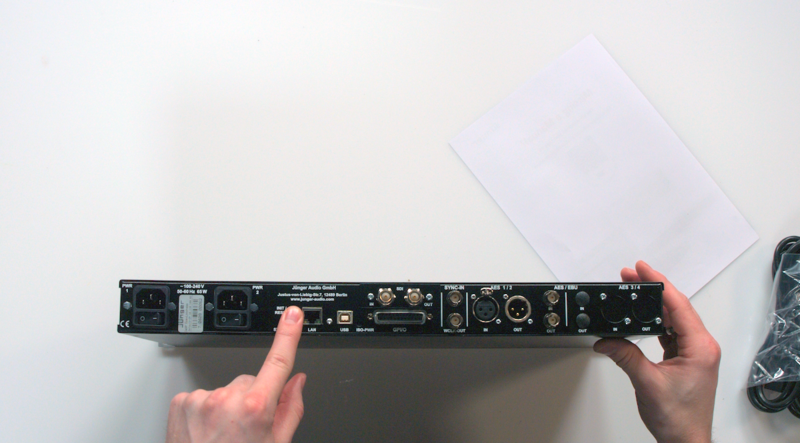 This unit is designed to simplify your audio workflow from end to end, day to day. One thing we love about this product is the web configuration, in which users have full control managing configuration metering and measurements, and they can operate the unit with tables or other mobile devices. The Easy Loudness SDI is equipped with a 3G SDI interface that features video and audio delays, intelligent routing options, a test generator, and full de-embedding and embedding of up to 16 audio channels. Nick Nagurka is the Senior Audio Engineer and Technical Manager at Live X. He also runs the audio board for Ready Take Live!